Anime has and will always been on my radar. I’ll admit that I haven’t watched any in a long time, but then I’ve always had a hard time finding anything of quality. Finally, I found one! 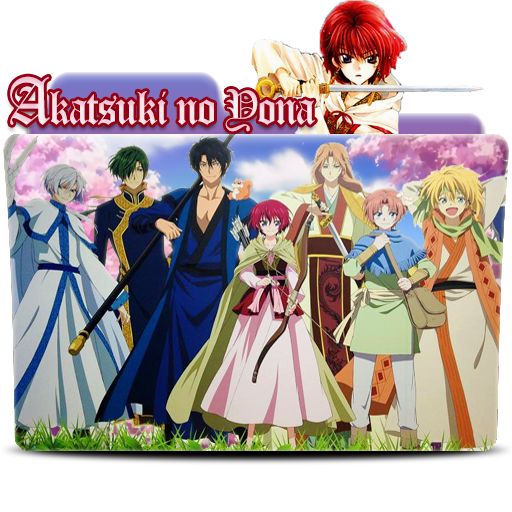 Akatsuki no Yona follows the story of Princess Yona, a sheltered princess raised by her pacifist father within the safe walls of the castle and protected by her bodyguard and childhood friend, Hak. Her second childhood friend, Soo-won, comes to visit for her birthday at the start of it. Yona plans to use this opportunity to reveal her romantic feelings for Soo-Won, but that never comes to pass since Soo-Won betrays her and her family. 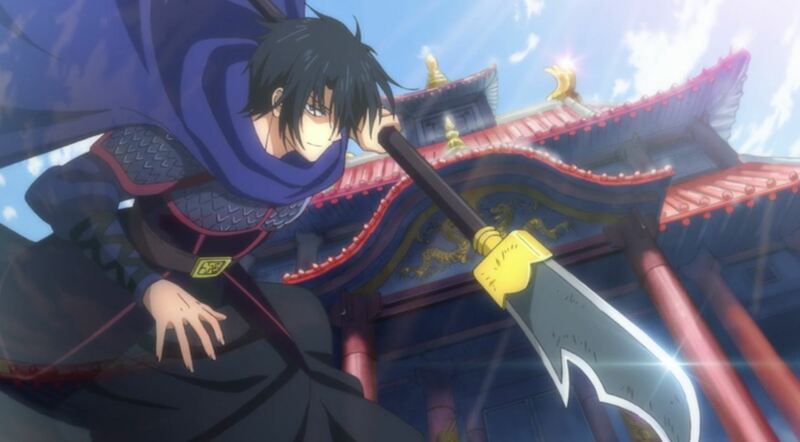 Hak intervenes, saves Yona, and they escape the castle. 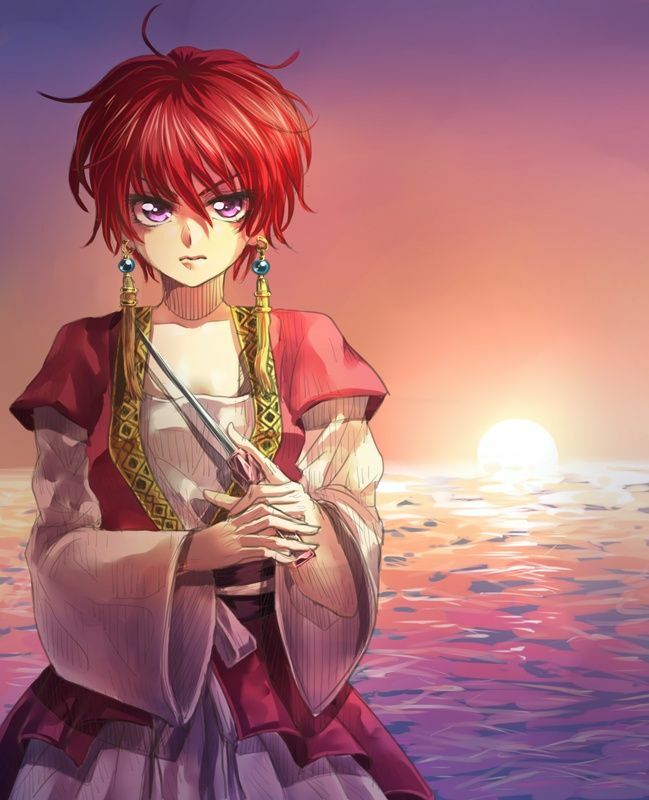 After visiting an oracle, Yona is advised to seek out the power of the reincarnated four dragons. Cliché storyline aside, this anime surprised me! I am very wary of anime where characters go from ignorant to highly skilled in two episodes. Sure, I found myself annoyed by the naïve nature of the princess at the start of things, but this is a story of self-discovery and identity. You watch this innocent young girl, through the hardships she encounters, grow into a brave woman. Of course, she doesn’t do this alone. The princess goes on a journey to locate the reincarnations of the four dragons as expected. They each take on guardian type roles, but that doesn’t render her a helpless figure in the show. I guess you can say that’s my favorite aspect of this anime and of the character. I love that she is surrounded by those that wish to protect her, but she is so adamant about being strong herself that you can’t help but admire her. As the anime progresses, you are introduced to new characters and their stories. Warning: You will become attached to many characters. They each have unique upbringings and pasts, but they are damn endearing. Of course, they all have different personalities and abilities as well. Being the reincarnations of powerful dragons, they are strong fighters. 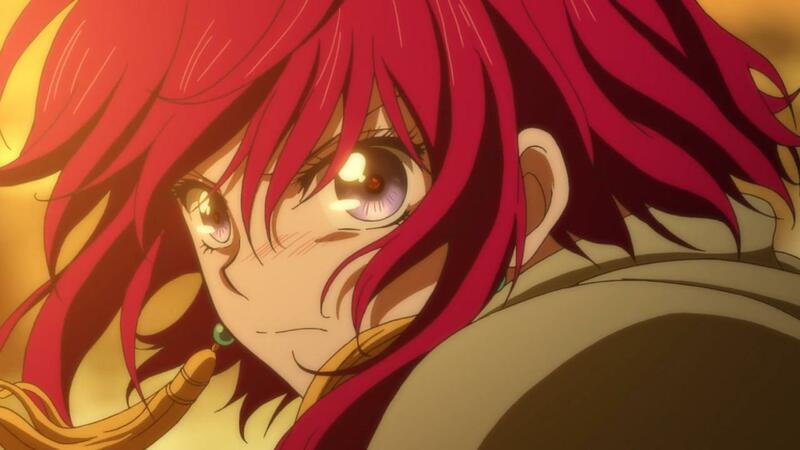 Fighting aside, there is a lot of relationship development that occurs between each of the guys and Princess Yona. They each have their own connection with her, but you have to know that there is a romantic interest there! Luckily it isn’t over the top nor is it nonexistent. It’s sweet and their relationship develops slowly just as it should. There’s no magical “Omg, I’m so in love”- Goo-goo eyes after one episode. Comedy isn’t missing either, mind you! Most of this is the banter between particular characters. The dynamic between all them is more than entertaining. Be prepared to want and need a Season 2 after this first one, however. I very much appreciate the time they take to let you get to know the characters, their pasts, and their journey both physical and emotional, but it does take time; a whole season’s worth. I hope that this anime does go over well in Japan since that’s usually the deciding factor in additional seasons. Until then, I recommend that you check this anime out and see if you like it for yourself! This entry was posted in All, Geek Culture, T.V. & Movies and tagged akatsuki no yona, anime, anime review, books, geek, geek girl, geeks, geeky girl, hak, japan, japanese, japanese anime, japanese shows, manga, nerd, nerds, princess yona, review, series, shows, television, television shows, video games, yona, yona of the dawn. Bookmark the permalink. I haven’t watched anime in a while either, lol, but I have a little more time in the summer. Last time I really watched anime was when I got on a Ghost in the Shell kick. I really need to watch more, but there’s so much out there, I sometimes feel overwhelmed. Yeah, but really most of it isn’t good. Lol. Just lots of the same things over and over. It always takes me a long time to find a good anime. I usually have to go through tons of bad ones in between. 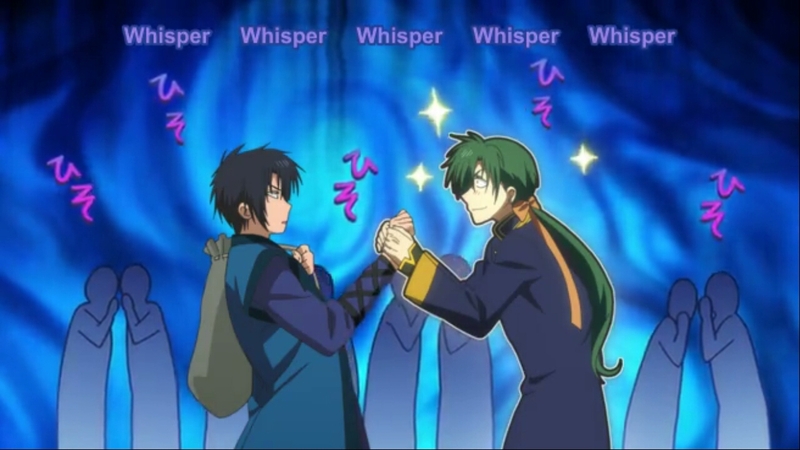 You should check out Akatsuki no Yona. It was pretty good in my opinion. This one has actually been on my Crunchyroll list of things to watch. I have a friend who really enjoyed it an recommended it to me. Glad to hear you’re enjoying it! Yay! Definitely watch it. It’s a good one.